@Courtney Halcomb: Thank you. I will e-mail you later today. 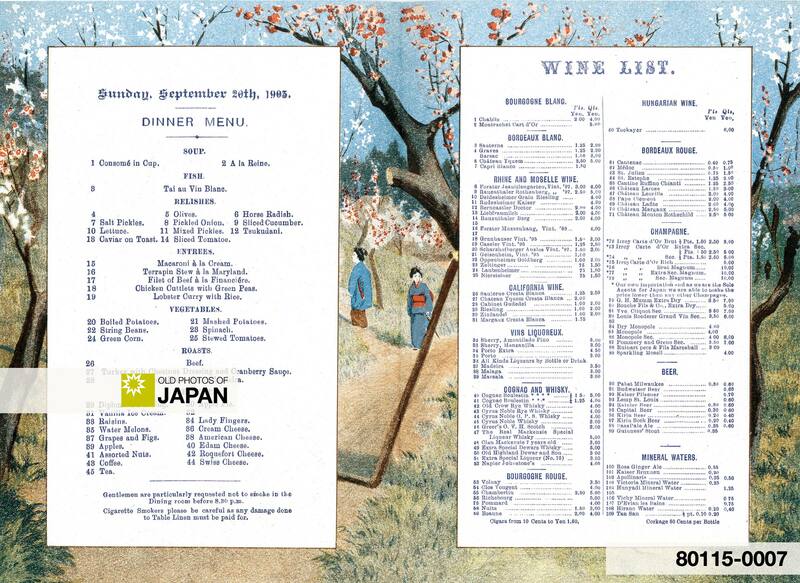 The Grand Hotel opened on August 16, 1873 (Meiji 6) and was soon considered the height of Western culture and elegance in Japan. It was located on the Bund and overlooked Yokohama Harbor. It is not known who originally designed the Grand Hotel, but it has occasionally been attributed to American architect R. P. Bridgens, who designed Yokohama and Shinbashi stations, Japan’s first railway stations. As Yokohama became Japan’s main port of entry, the Grand Hotel turned into “the place to stay” for those who could afford it. English author Rudyard Kipling stayed here and was amazed by the printed menus (menus were usually handwritten at the time), and customers ordering food by citing the menu numbers of the dishes. Sadly, the hotel was totally destroyed by the devastating Great Kanto Earthquake of September 1, 1923 (Taisho 12). 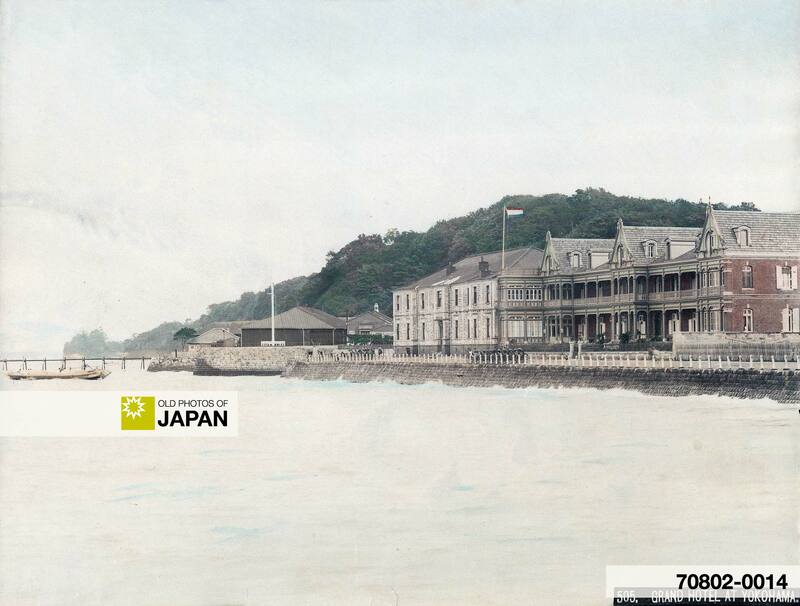 In 1927 (Showa 2) the New Grand Hotel was built on a nearby location. 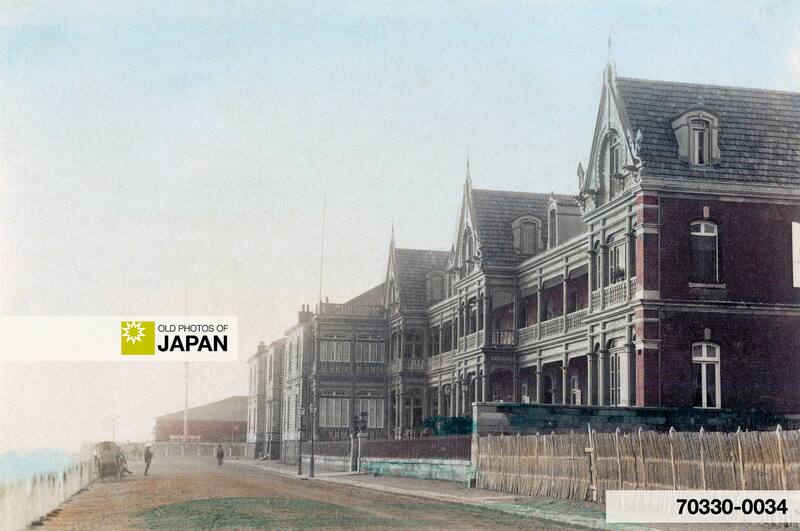 The Yokohama Doll Museum (in Yamashita-koen-dori) now stands where once the Grand Hotel welcomed its guests. Because the hotel was used by so many foreign visitors to Japan, a lot of photographs and postcards exist of the Grand Hotel. Most images show the hotel’s facade facing the Bund, but occasionally a card surfaces that shows the “back” entrance with the circular lane. Besides its excellent service, one of the main attractions of the Grand Hotel was its magnificent location on Yokohama Harbor. 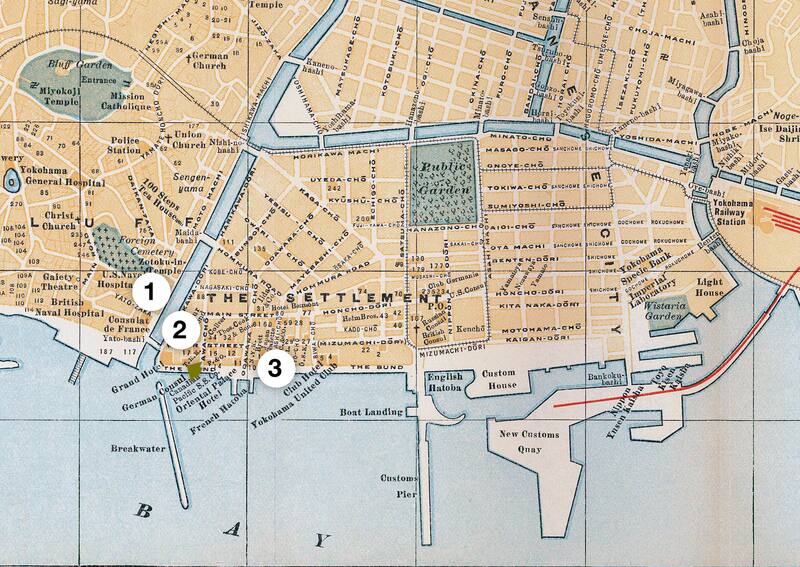 1920 (Taisho 9) Map of Yokohama: 1. French Consulate; 2. Grand Hotel; 3. Kaigandori (The Bund). You can also licence this image online: 70330-0034 @ MeijiShowa.com. 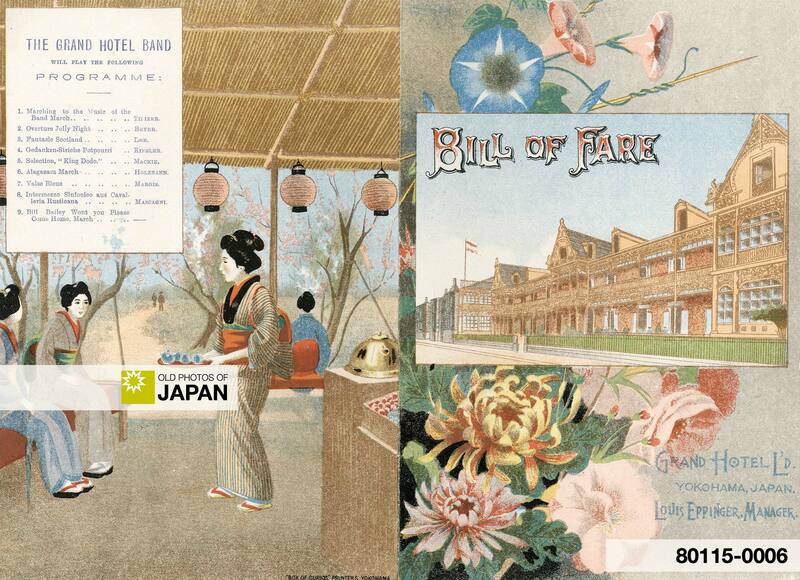 I have a Bill of Fare for the Grand Hotel L’d in Yokohama (Louis Eppinger, Manager) dated Thursday, 9th August, 1900. In very good condition w/envelope. Matches the above picture. I would like to sell this, are you interested ? If yes, make offer. Hi Gary, it might be a good idea to put a scan of your menu on the web (on flickr for example) and provide a link to that page here, so people get a better idea what you’re offering. I have a beautiful color print of the Grand Hotel. I also have an additional 70 prints of old Japan that I would like to sell. Please e-mail me if you have any interest.